In our community you can enjoy two great caverns and natural waterfalls. Cabañas France-Amazonia offer you the possibility to enjoy a stay in an exceptional environment. Located in the Amazon jungle overlooking the Napo River, the Guest House is open all year round for a price more than competitive and in total security. Cotococha Lodge offers spacious cabins, built according to the traditional architecture of the area, in harmony with the surrounding environment of the Tropical Rainforest. We are a community tourist center, where you can learn about our ancestral culture and enjoy all our activities. We are a community tourism enterprise, here you will know everything about the ancestral culture. Misahuallí Amazon Lodge, where peace and relaxation come together with nature and culture to enjoy an experience in the jungle that you will remember for years! Canton that has great agricultural and livestock wealth. It has an exquisite gastronomy with typical dishes like Peanut Viche with fish. It is a town that preserves many of the Manabitas traditions. They are excellent riders and experts in tame horses and reckless bulls. Annually, in the month of October, one of the Rodeos Montubios more recognized of the province is developed, where men, women and children participate, giving samples of their great skills in the handling of animals. Olmedo is surrounded by large mountains, among which is the Puca river, Olmedo and other water sources. These conditions are favorable for those who wish to enjoy mountain tourism. To celebrate the cantonization date in the month of August different activities are performed, such as night of tradition and culture, sports games, traditional and popular games, festival of typical foods, day of reunion with traditions, and could not miss the election of the queen of our canton, and we have that the first queen of Olmedo as a canton was Miss Maritza Zoraida Jaramillo Barberán for the period 1995-1996. The main vegetable species are pechiche, saman, laurel, cedar, cow tongue, mahogany, guachapelí, moral, muyuyu, among others. As for the fauna is represented by some birds such as guacharaca, diostedé, parrots, among others, there are also gloves, guatuzos, squirrels, monkeys and other mammals, as well as a variety of fish in the Puca River and its tributaries. In winter, snakes proliferate. 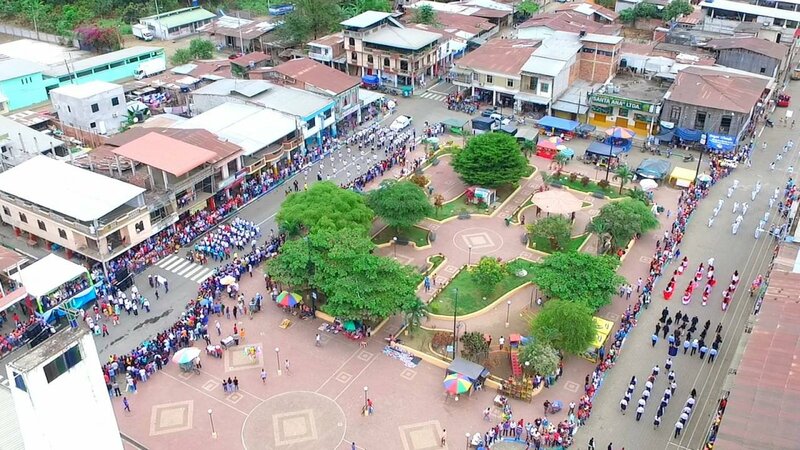 The date of cantonization, on August 31, is the most celebrated civic date, in addition the patron saint festivities of San Andrés are celebrated in the month of November; San Pedro and San Pablo in June; and the Candelaria festivities from Christmas until February 2. It has a tabernacle that due to its design was awarded to the best tabernacle of the province of Loja. The church was restored in the year of 1977 by Monsignor Cesar Armijos. It should also be noted that ten minutes from downtown is the Santa Bárbara center. The hill of Santa Barbara, has a height of 1338 m.s.n.m, is located 300 meters from the cantonal head. To access the place you have to walk along a path that facilitates the arrival towards the vegetation and species of wild birds. Your ascent lasts approximately 20 minutes. It is located 250 meters from the cantonal head. In this complex the festive programming is carried out every year for carnival. It has Olympic swimming pools with temperate waters, slides and small cabins where you can enjoy the cuisine of the canton.